Almost all of those named are running for office in May, when Filipinos go to the polls to choose senators, representatives, mayors and other local officials. Many are political opponents of Mr. Duterte, and he is again being widely accused of playing deadly politics against his critics. “I will just be clear that my last remaining years will be the most dangerous years for a person into drug trafficking,” Mr. Duterte said over national television from the southern city of Davao, his hometown, where he released the list. An anti-corruption campaigner with no experience of public office has won the first round of Slovakia’s presidential election, as voters spurned the ruling Smer party a year after the murder of an investigative journalist. Environmental lawyer Zuzana Čaputová won 40.5% of the vote, with 99.4 of the ballots counted on Sunday, far ahead of the Smer candidate, Maroš Šefčovič, who had 18.7%. There has been extensive, international discussion about the role of the online subculture of the far right in these events – the codes, memes, and signals of internet-mediated white supremacy. There’s been less reflection on the fact that any 28 year old in Australia has grown up in a period when racism, xenophobia, and a hostility to Muslims in particular, were quickly ratcheting up in the country’s public culture. Alexandria Ocasio-Cortez criticized media coverage of her latest polling results on Saturday, noting her net favorability among all women and all non-white Americans, even as some commenters suggested that “Americans” now viewed her negatively. If successful, anti-graft campaigner Zuzana Caputova will be Slovakia’s first female president. 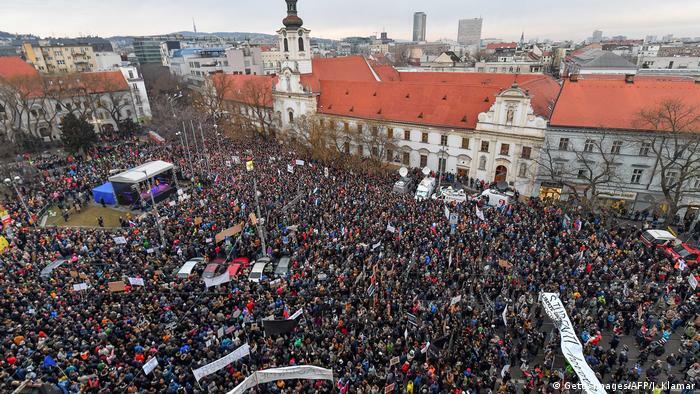 It’s the first vote held in Slovakia since the murder of journalist Jan Kuciak, which sparked huge anti-government protests. A major percentage of people with disabilities live below the poverty line. This is critical when we think about how the minimum wage has the potential to save lives. Facilitated terror via Facebook and Google: Christchurch has turned everyone’s attention to the phenomenon of extreme rightwing terrorism. But it is an alarm bell that authorities in the UK have been ringing for some time, having seen an ascendant extreme-right threat. Our collective attention, when thinking about terrorism, may be dominated by Isis, but given the rich vein of references to the UK in Brenton Tarrant’s screed, there are clearly other concerns to which we should pay attention. A 52-year-old father, Adeeb Sami, took a bullet to save his sons at al Noor mosque. He dived over his sons Abdullah, 29, and Ali, 23, as the gunman burst into the mosque. “My dad is a real hero,” Adeeb’s daughter, Heba, said. “He got shot in the back near his spine in an attempt to shield my brothers, but he didn’t let anything happen to them.” Adeeb was rushed to hospital where he underwent surgery to remove the bullet.